To supply and install a wall-mounted, sound absorbing system, to 22 meeting rooms at Skype’s UK headquarters, designed to improve speech clarity and facilitate more audible communication during conference calls. To supply and install the system to conform visually to an earlier installation at Skype’s global HQ, in Palo Alto, California, designed to reflect Skype’s corporate identity. To carry out the installation in a highly organised and coordinated manner, minimising disruption to Skype’s day-to-day operations. A site survey was carried out, which included measuring existing reverberation times in each of the 22 meeting rooms. The data recorded was used to calculate the sound absorptive surface area coverage and configuration required for each meeting room, to reduce reverberation times, throughout, to 0.3 – 0.5 seconds. A detailed method statement and risk assessment were formulated (later used to direct the system’s implementation at Skype’s European HQ, in Luxembourg). The system suitably improved speech clarity, in all 22 meeting rooms. Consequently, Skype personnel, when conducting conference calls, can be clearly understood, resulting in more positive, productive dialogue. The installation conformed visually to the original installation at Skype’s global HQ. 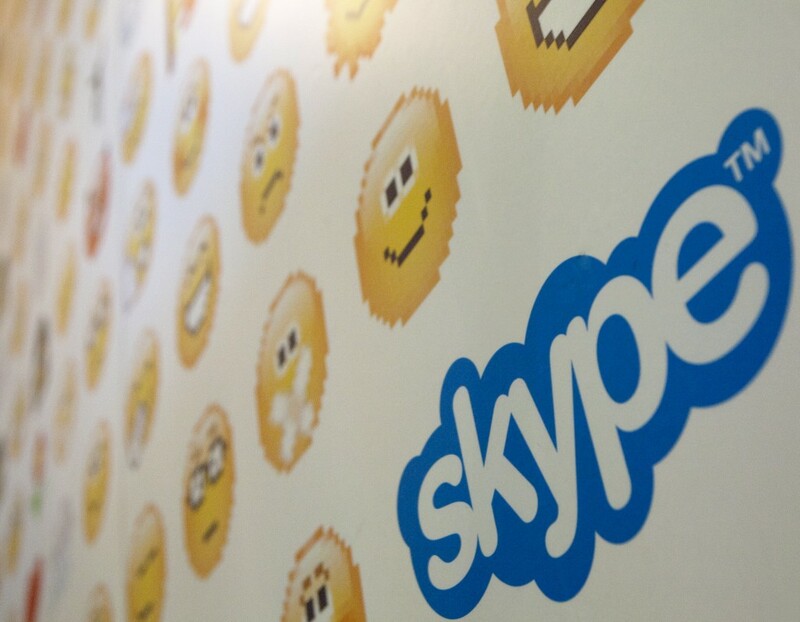 Consequently, in terms of Skype’s corporate identity, there is continuity across their office network. Skype personnel noted how “discreet” the installation process was; the result of a carefully planned and strictly administered schedule of works.